In addition to the delightful trails offering lots of cross-country skiing fun for all Nordic fans, there are also three floodlit night trails for added variety. 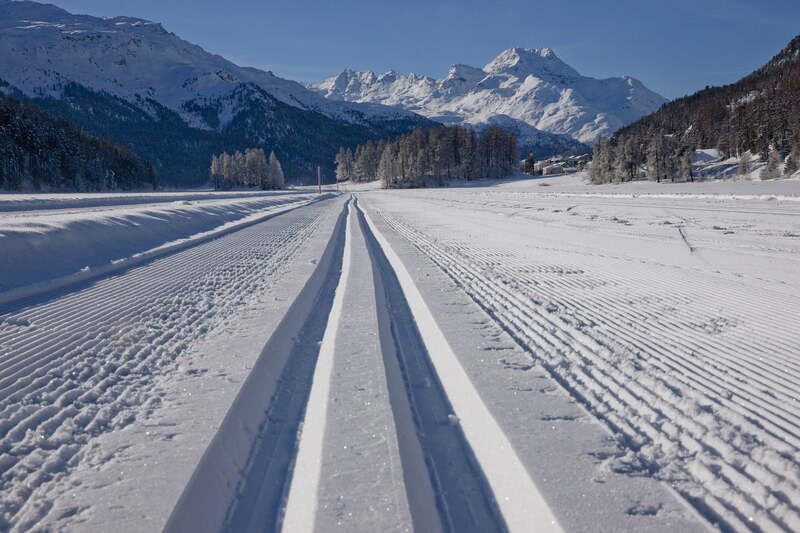 So for all those who can’t get enough cross-country skiing action during the day, there is a total of 8 km of night trails to choose from at St. Moritz, Pontresina and Zernez. The night trail behind the Kempinski Grand Hotel des Bains is floodlit daily from 5 pm to 9 pm. The night trail at the Cuntschett cross-country skiing centre is floodlit daily from 5 pm to 9 pm. The floodlit cross-country skiing trail is located at the Sports Centre; the floodlights are switched off by the skiers themselves once they have finished.